The choice of an appropriate coffin needed for the deceased family member or loved one is an important aspect for the process of funeral arrangement. Due to our extensive experience, we are of the view that most of the families find it difficult to choose coffins for cremation. 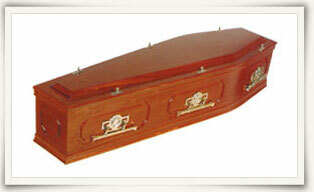 We have a vast collection of cheap coffins as well as the expensive coffins for suiting varied needs as listed below. You will find numerous suppliers of wooden coffins in UK; however, with our added experience in funeral arrangements, you get a one-stop shop for all needs. For people interested in the green revolution, we can guide you in opting for coffins which are suitable for eco funeral. With all this expertise on our side, we ensure that all your needs regarding coffins for cremation will be fulfilled with us.